Q) What is the Display Size and resolution on the Smartron srt.phone? Q) What is a Processor on Smartron srt.phone? Q) How Much Free Space available out of 64GB? Q) Does it come with FM Radio? Q) Rear Camera on Smartron srt.phone? QSmartron srt.phone how much MP is the front camera? Q) where is Power button located on srt.phone? Q) Does SRT.Phone has 3.5mm Audio Jack? Q) Smartron srt.phone have NFC? A)yes it comes with NFC. Q) What are sensors on Smartron srt.phone? Q) Does Smartron srt.phone has Dedicated MicroSD card slot? Q) Is the display on the Smartron srt.phone protected by Gorilla Glass? Q) Where is the fingerprint scanner on the Smartron srt.phone located? Q) Does the Smartron srt.phone support LTE and VoLTe? Will a Reliance Jio SIM work on the phone? Q) SRT.Phone can record 4K Videos? Q) How much is Battery on Smartron srt.phone? Q) Does the handset supportSmartron srt.phone? Q) Connectivity options on Smartron srt.phone? Q) Dimensions of Smartron srt.phone? Q) Weight of Smartron srt.phone? Q) In which color Smartron srt.phone will be available? 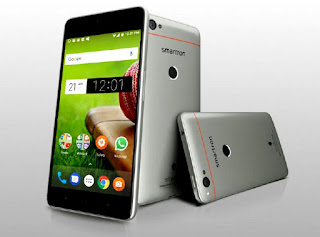 Q) From when Smartron srt.phone will go on sale and Price? A) Smartron srt.phone comes in Titanium Gray color and is priced at Rs. 12,999 for the 32GB version and the 64GB version costs Rs. 13,999. It is available exclusively on Flipkart.